The winners and losers of this year’s tournament for regional bragging rights. 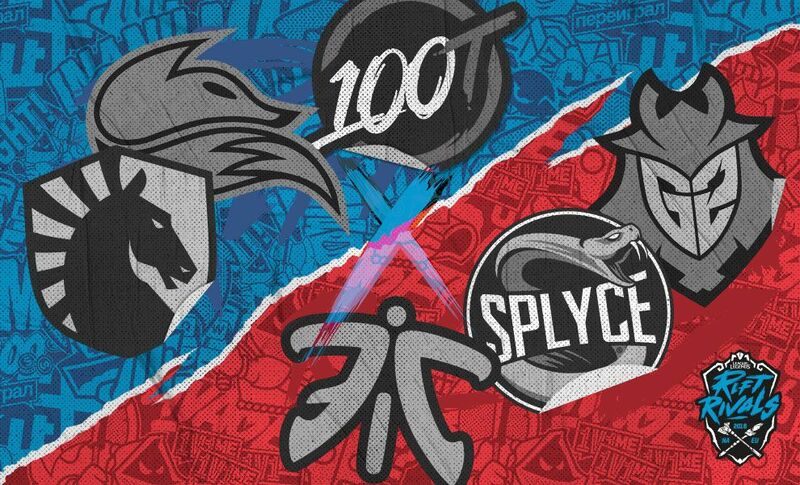 Rift Rivals is League of Legends’ relatively new region-vs-region tournament, pitting the game’s esports leagues against one another around the world. In our neck of the woods, the EU and NA LCS face off against one another in Los Angeles at Riot’s LCS Battle Arena. Just like the event’s debut last year, there isn’t really much on the line this time around. It’s a single round robin group stage followed by a relay race knockout stage, and the winning region earns a nice, shiny trophy and bragging rights, but not much else. Still, it’s fun to watch, and much more lighthearted than the really important events of MSI and Worlds—and the teams from each region care enough to try hard. After all, it does decide whether NA is greater than EU or the other way around. The scrap between 100T and Splyce was closer than Splyce’s other matches this tournament, but it still wasn’t that close. All in all, Splyce were the only team that looked like they didn’t belong at Rift Rivals. Liquid have looked like the best NA team at Rift Rivals so far, but they just couldn’t withstand G2. That’s a bad sign for NA, but a great sign for G2 fans who want their team to take back the EU LCS trophy later this split. 100 Thieves are struggling to find themselves with their new roster. The new jungler has been performing very well, but Fnatic exploited them elsewhere to win the day. There isn’t much to this one. Echo Fox hasn’t been able to confidently pull off the funneling strat so far this split, and G2 are the kings of it. So when G2 got their hands on a Kai’Sa funnel, Echo Fox didn’t know how to handle it, and G2 took the game. The game between Liquid and Fnatic started off as a rapid-fire back-and-forth, but ultimately, Liquid looked much cleaner than Fnatic. Whether it was controlling the map or fighting in-lane, Liquid always seemed like they were a step ahead. Echo Fox wins by all-around outclassing Splyce. So far, Splyce looks like the weakest team at the tournament, but Echo Fox’s reckless aggression was still put on display. G2 amassed an extremely large lead early, but 100T held on for a comically long time, in classic 100T fashion. G2 eventually earned the win, but they struggled from the mid game into the late game. Liquid is definitely the best team from NA at the tournament, and Splyce is definitely the worst from EU. That being said, this game wasn’t very close. Liquid smashed them. Echo Fox came into the tournament tied for first place with Liquid in the NA LCS. That being said, it was a surprise when Fnatic, a third-place EU team, exploited their weaknesses so dramatically.